A New Orleans native, Jessica earned a Bachelor of Science degree in kinesiology from Southeastern Louisiana University. She then furthered her studies at Delgado Community College by earning an associate degree in applied science in the physical therapy assistant program. After completing the program, Jessica worked in several settings such as acute care, skilled nursing, inpatient rehab, and outpatient physical therapy at Terrebonne General Hospital in Houma, LA. 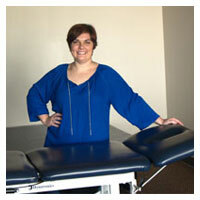 She came to Magnolia Physical Therapy to work in an orthopedic outpatient setting and expand upon her knowledge and skills. Outside of work she enjoys spending time with her son, hunting, fishing, bike riding, camping, and getting together with family and friends.